White Poppy Seeds by OliveNation add texture and flavor to a variety of dishes. These tiny white seeds are fantastic for lemon cakes and muffins, bagels, bread rolls, and more. 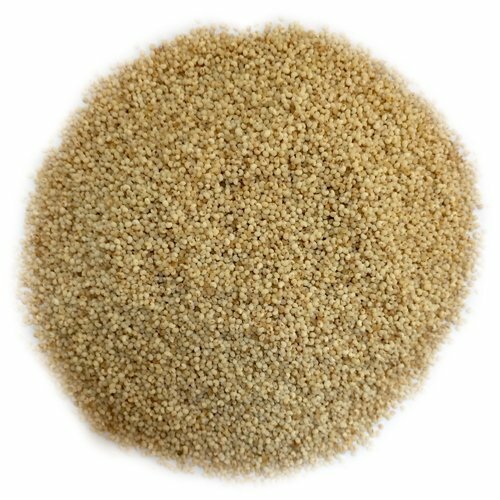 White Poppy Seeds add crunch and texture to desserts, salads, noodles, vegetables, and more. Enjoy seeds as is or toast them for a few minutes in a dry skillet over high heat, stirring often. They're ready when they release a nutty fragrance. Store in a cool, dry place. Enjoy seeds as is or toast them for a few minutes in a dry skillet over high heat, stirring often. Store in a cool, dry place. They're ready when they release a nutty fragrance.